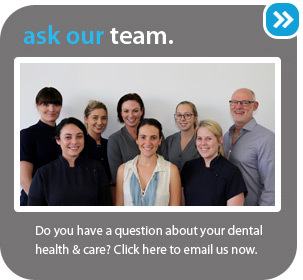 At Evans Dental in Mermaid Beach, we love seeing our patient’s smile, so we are focused on providing the highest level of patient care in all aspects of dentistry. We strive to give our patients the knowledge and skill to protect and keep their teeth for a lifetime. Our practice is built on family values, trust and the desire to provide a unique and personal experience for all patients. We build lifelong relationships with our patients and ensure you will only work with YOUR preferred Dentist, every time. Our friendly team believes strongly in patient education, so we offer patients a thorough explanation about treatment. We also pride ourselves on excellent follow up care because we want to help patients understand, improve and maintain their oral heath for life. We built our practice to offer a warm, welcoming and relaxing atmosphere. Floor to ceiling windows flood the room with plenty of natural light creating a spacious and pleasant environment for patients to relax and unwind before, during and after treatment. Are you ready to start smiling? Come and see the team at Evans Dental for your lifetime partner in dental care or contact us today to arrange a consultation.